I've been wanting to get an LRD for some time now, but I couldn't quite decide between the smarter, tailored ones (you know, clean vertical seams, little buttons or bows, tulip shape, straight line, no stretch), or the more relaxed types like skater, or the not-too-smart A-line, sleeveless, short or three quarter sleeved - and who knows what else. I only knew it should not have any contrast details. Finally it came to me that I very rarely wear red because it's so in-your-face, a constant reminder that you're walking the very wildest of the wild side (at least, that's what it feels like). Now, if you choose a really smart dress, you will want to wear it for smart occasions, but the colour will stop you in the last minute of every attempt. So, you will end up not wearing it at all. If you're like me, make sure you pick a strictly neutral or somewhat relaxed piece that you can just pop on and go, and have fun with dressing it up or down. 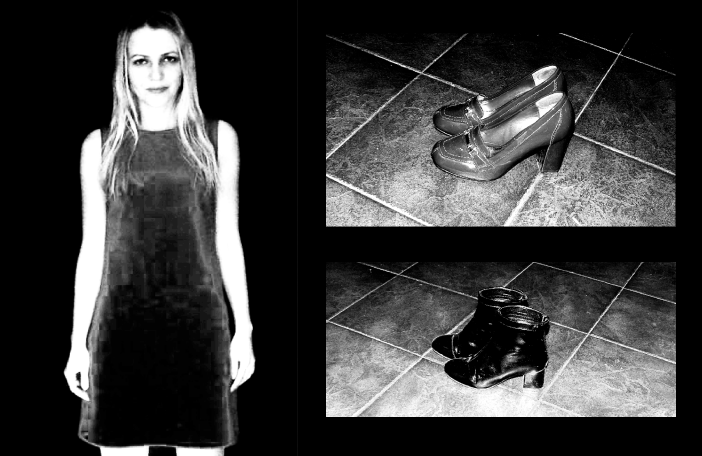 That way, the dress will sooner or later find a way to take you for a walk. This shift dress by Asos is in ponte, which is a lot more easier to wear than plain or even textured cotton, which tends to crinkle somewhat while hanging in the wardrobe, very badly when on, and worse during washing. Ponte is not smart, and not considered a quality fabric, but boy, it's made for wearing - and that's just what it'll do. In four ways, basically. Classic Contrast: pick one colour to complement red in a classic way, say, cream, biscuit, white, camel, or black. Wear opaque tights and a top or blouse in that colour. 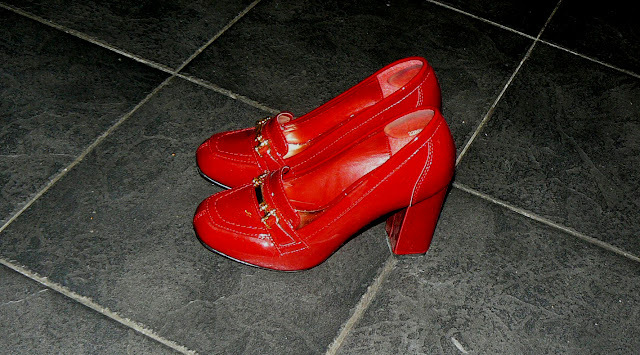 Then, you can choose to match your shoes to your opaques for a leg-lengthening, paired-back effect, or create a contrast by wearing red shoes (loafers or Mary Janes) and turn into Little Red Riding Hood. Next, you can go for Bold Colour Blocking, and mix & match primary or jewel colours... red with electric blue, emerald green with yellow, orange with teal. If you want to tread cautiously at first, accessorise with a flash of colour, a scarf, a bag, or a belt. If, like me, you are drawn to trying the Total Blocking, combine pieces in similar colours in a single outfit and go all red, blue, mustard or green. To finish the look, I chose a navy and blue coat when I could have gone with berry, which reminds me: do draw the line somewhere. And four is Minimal, for when you prefer the little red dress to do all the talking: bare legs or sheer tights, ankle boots and socks. As zips are big for both autumn/winter and spring/summer, and apparently, this dress doesn't have any, choose a minimal cover-up with some prominent zips. Mine is a loose, ribbed fine-knit cropped cardi with collars, but a boxy cropped blazer with extra large buttons should make the look even more office-friendly if that's what you're after.